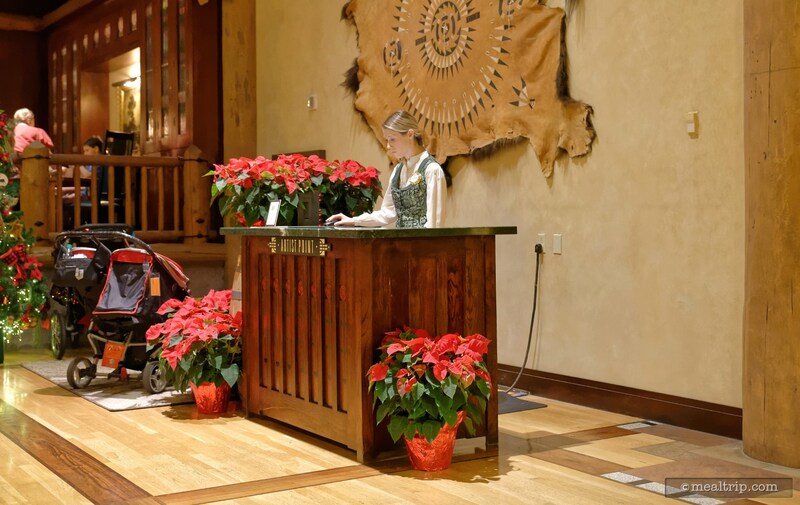 Artist Point had been a "signature" restaurant at Disney's Wilderness Lodge (meaning, "two dining credits") that featured culinary arts from the Pacific North West region of America (i.e. National Park "inspired" cuisine). I have had good and bad experiences at the old Artist Point… the more recent of those, were good. 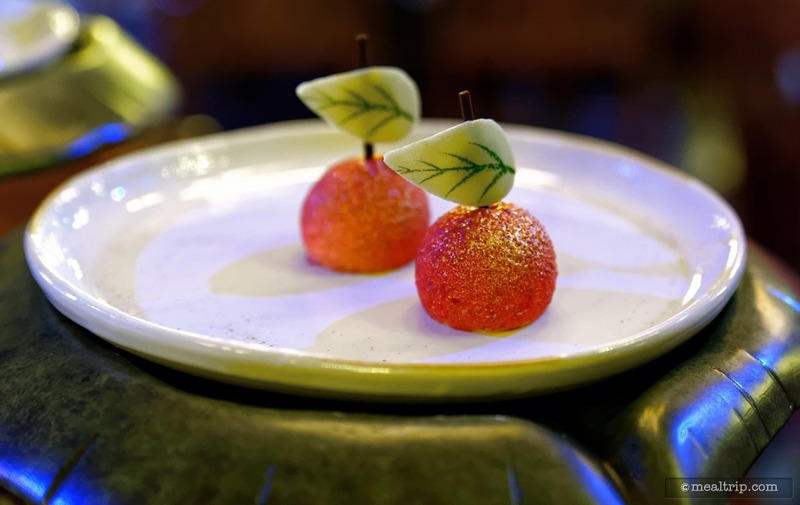 The modern-rustic dining location was comfortable and the food was great… I had felt the theming elements of the menu had gotten lost to the sweeping normalization that defines Disney dining locations these days — but still, a great meal overall. 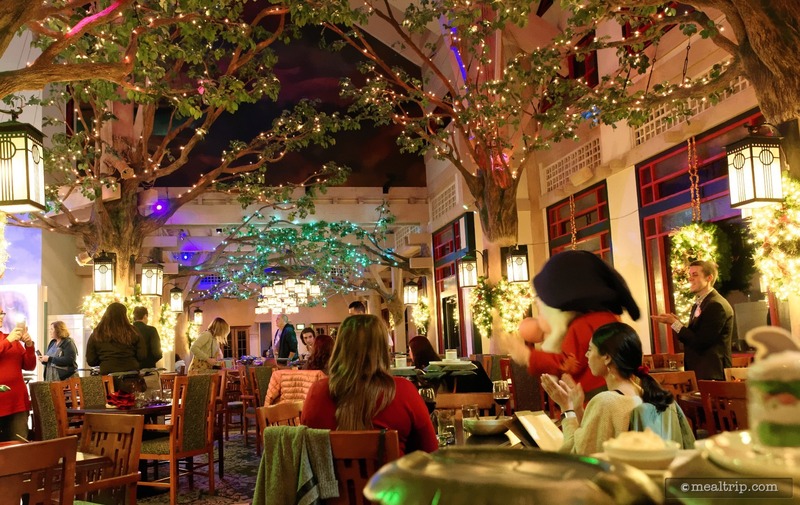 That version of the restaurant had been struggling with booking though… it was one of those locations that you could very nearly get a walk-up table (as opposed needing a reservation), and that's not good for running a profitable dining location. So just recently, Disney introduced an "overlay" of sorts (more literal than you know), on top of the old Artist Point which included a much needed kitchen overhaul. 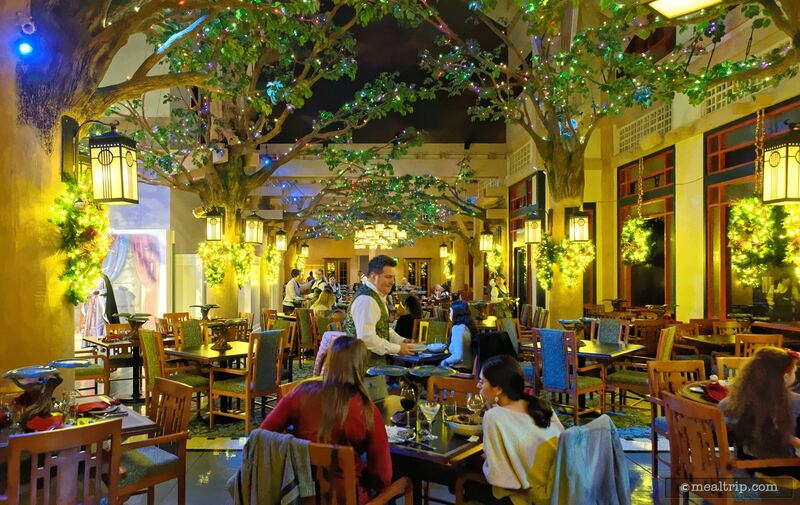 From a guest-facing standpoint, the location received a downgrade — going from a "signature" dining location to a "character meal". 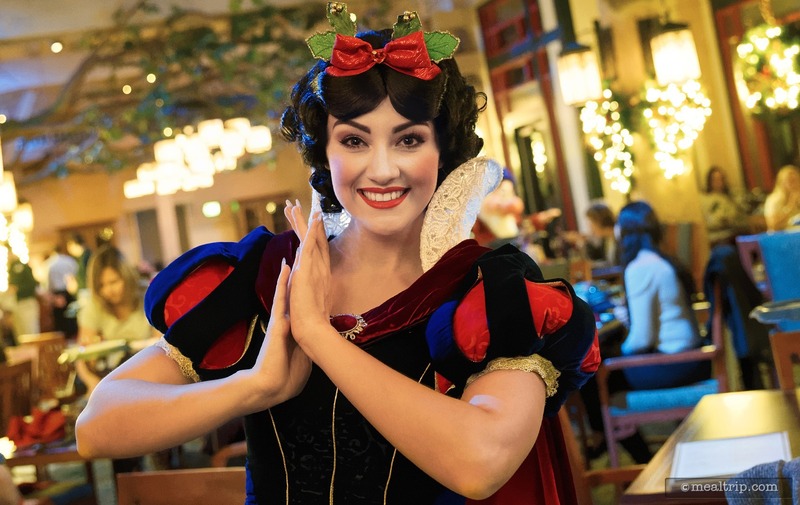 While it's true that Disney is forever changing and expanding — there does seem to be one old adage that the park system can't escape when talking about "character dining" — and that's "you're not coming here for the food". That phrase probably best describes my recent visit to the "new" Storybook version of Artist Point — on so many levels — and it's a phrase that I really dislike using. I want to write good reviews about amazing places to eat… I really do. This, sadly, will not be one of those. First things first — the environment. Have you ever watched one of those "remodeling / reno-demo" shows on HGTV… where some entertaining person refreshes another person's living room — and then at the end of the show everyone cries and is all super happy about how great and different everything looks? The "new" look at Artist Point is sort of like that — except Disney forgot one very important step — they didn't remove any of the old stuff first. Can simply adding new elements to a tired old design be considered great "commercial interior design"? Same floor. Same rugs covering the floor. Same wall colors. Same giant wall paintings. 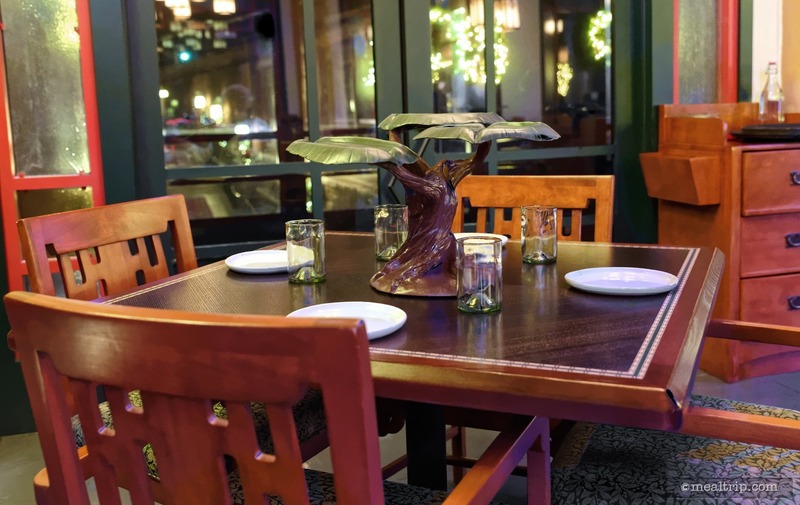 Same chairs, same tables, same lighting fixtures, etc., etc., etc. So what's "new"? At eye level on most of the columns there are electronically lit "Holiday Wreaths" that are resort themed, and had been (and are being) used on other giant wood columns throughout the resort. Take those away (which I'm guessing someone will do after the holidays are over) and the only "new" elements end up being a dozen or so tree limbs that appear to be growing out of the walls. Are the faux tree branches nice? Yes. They're kind of cool. 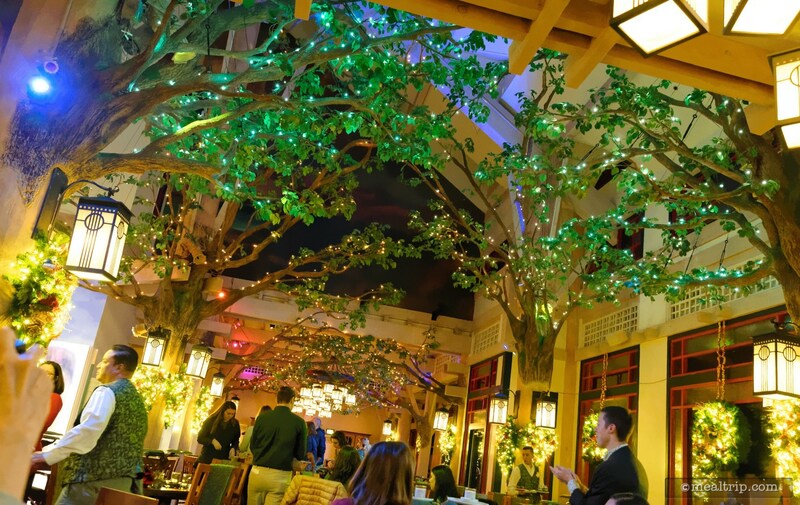 But, take away the Holiday Wreaths which draw your eyes up to the faux tree canopy — and most of those new branches would go as unnoticed at the previous ceiling treatment did (which, is still there by the way). There are simply not enough tree branches around to pull-off a "new look". This is an overlay — plain and simple — and seems to follow a new mantra at Disney… which is "What is the VERY least we can do… in order to call it new". 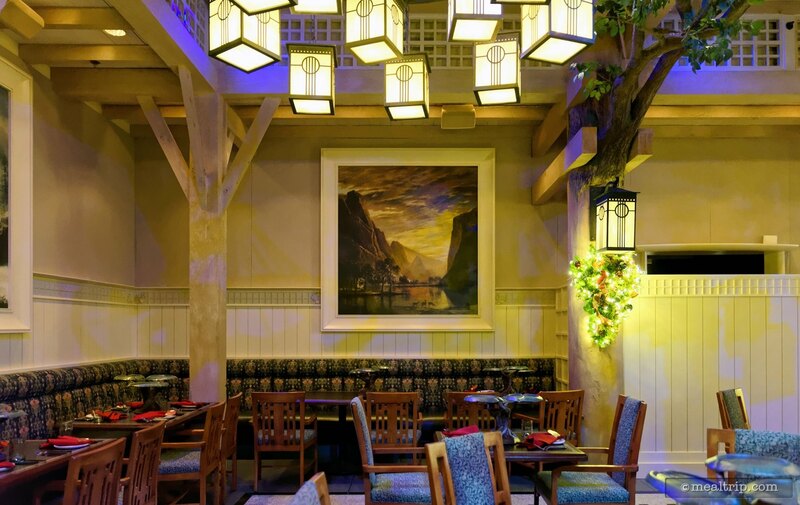 If you had ever been to the old Artist Point, this "new" decor and the room in general isn't as immersive as other Disney dining locations, because too much of the old Artist Point is still visible — everywhere you look. It feels, rushed — and under budgeted. One more stop before we get to the food — and that's the character interaction. If there's a bright spot in any of this — the characters would be it. 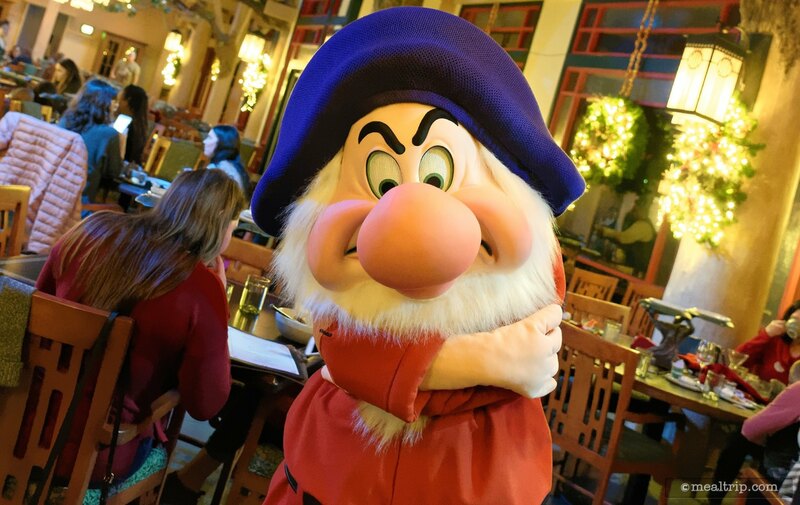 Three Disney favorites make rotating table-side stops — Snow White herself, Dopey, and Grumpy. 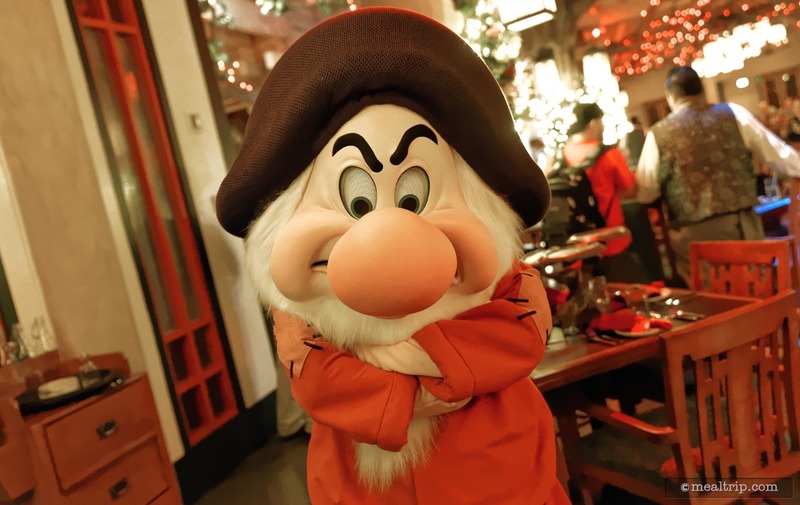 Honestly, you'll spend hours in a line somewhere to get close to any of these guys in-park — so if Snow White herself, Dopey, or Grumpy are on your "must meet" list — this is the best place to do it. You'll just have to suffer through some pretty underwhelming food while you wait. The dining area that I was seated in had a moderate amount of "moving around room" for character interaction — not the most spacious I've seen, but not the tightest either, not by a long shot. 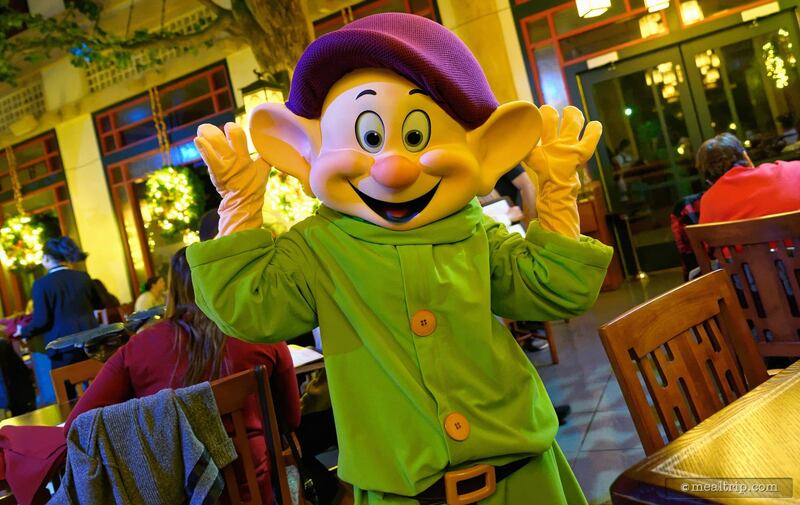 Grumpy, Dopey and Snow White came around to all of the tables, a couple of times, throughout the leisurely paced meal — they were fun and stayed true to their characters. 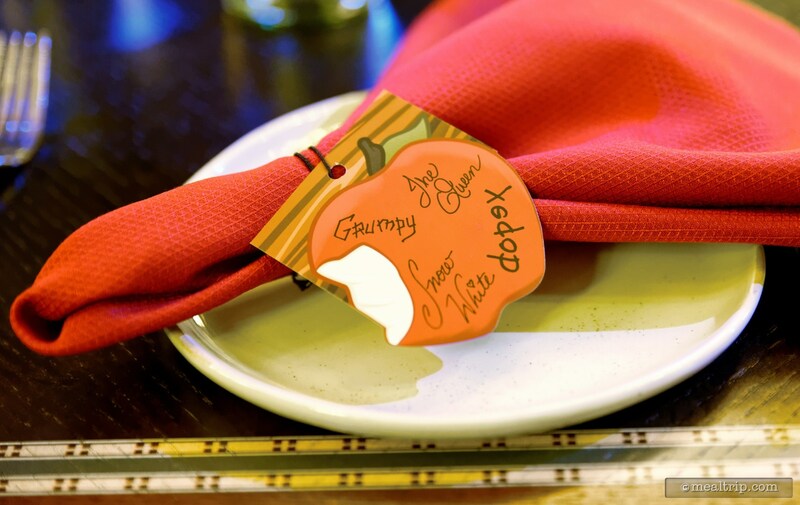 All three would sign autographs (for those guests that are collecting character signatures) — there's an additional pre-printed and pre-autographed card that serves as a napkin ring at each table setting. There is one additional character that's super difficult to get a photo with — the Evil Queen herself. 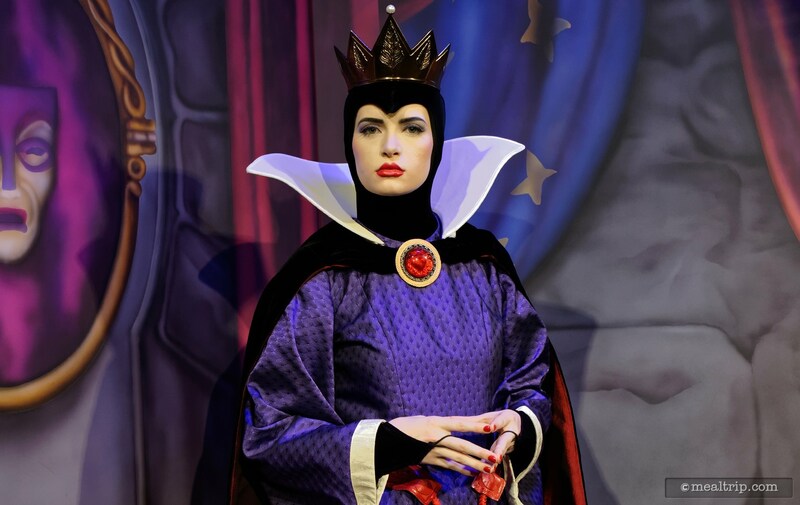 While the Evil Queen doesn't make rounds to each table, she does have her own backdrop and dedicated area. 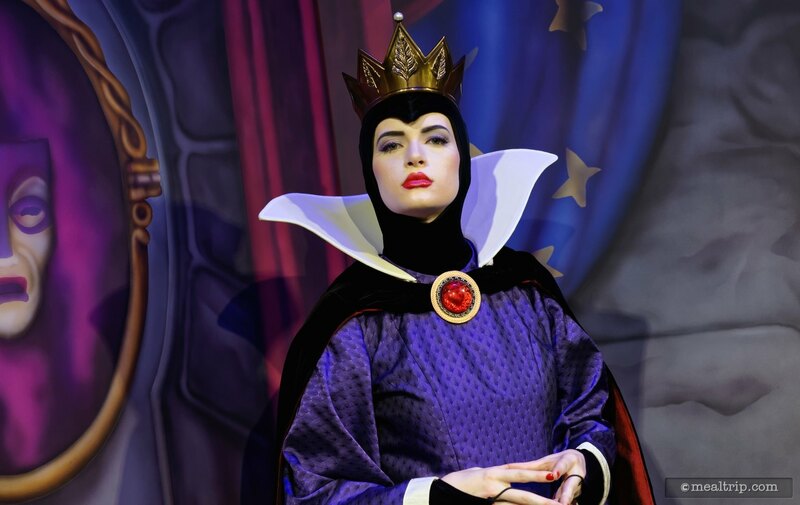 It is "suggested" by your waiter or waitress as you first sit down, that the Evil Queen be visited on your way out — so as not to form an unruly line in the middle of the restaurant. Photopass photographers are on-hand to take pictures with their cameras or your phone. 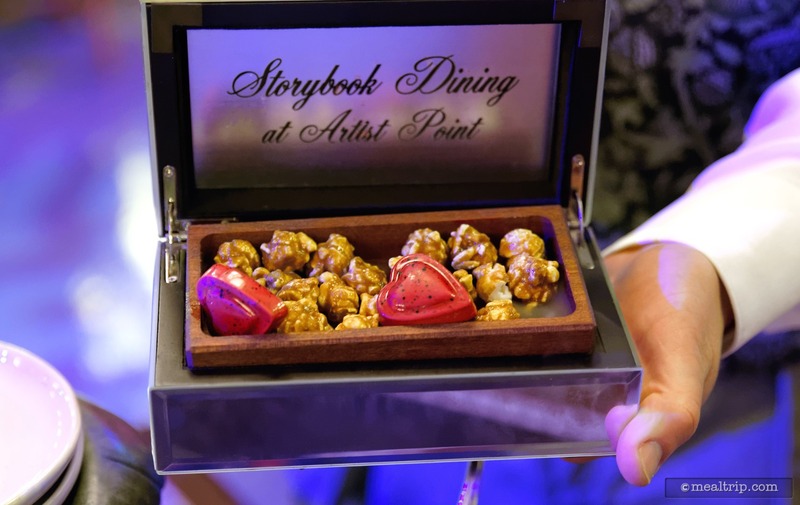 The cost of meals at Disney is high in relation to what you're being served. It's not a secret. So I try to approach my reviews from a "did I enjoy the food" standpoint — and not get hung up on the cost. That — is getting harder to do. The dining format here is basically prix fixe — which means everyone pays the same price for a three course meal. The appetizer sampler and the dessert sampler are "chef's choice" so it's whatever is brought out to the table — you can choose to eat it, or not. 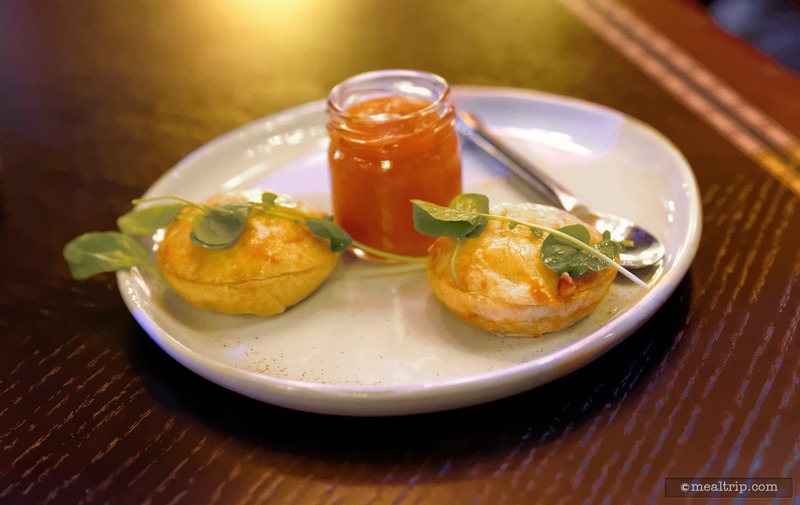 The main entree can be selected from a half-dozen (or so) items on the menu. If we arbitrarily break down the appetizer sampler and dessert sampler courses to be $12 each, include $3.75 for a soda, water or juice, that leaves us with a $27.25 main entree cost — all totaling $55 (tax and tip extra). 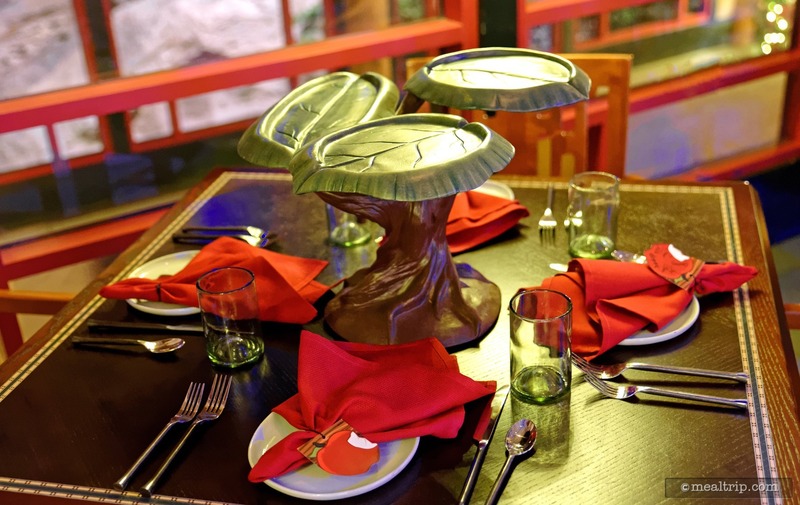 Which is close to being in-line with other Disney-based table service locations. Yes, there are four characters, and that does seem to change the cost of things… but it really shouldn't. 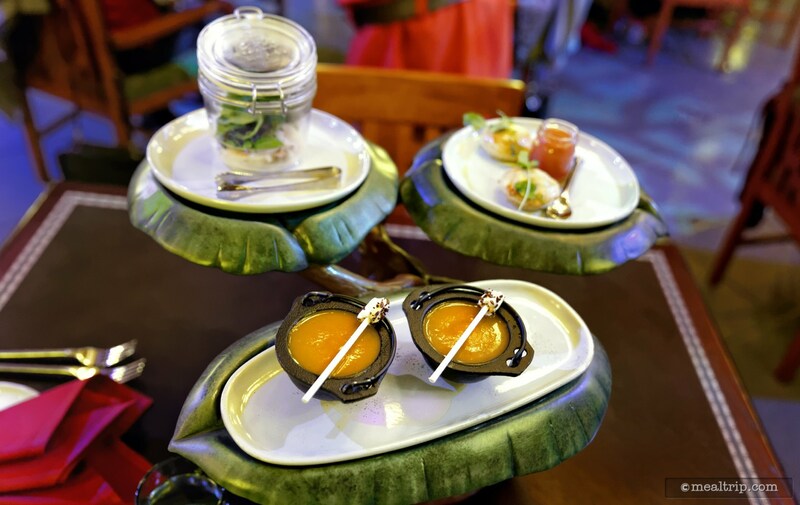 There are three items in the starter course, that are brought out en-mass and placed on a Lazy Susan (rotating display tray) in the center of the table. While being cute, having guests reaching out and up while seated to grab items off a display seems a little problematic long-term — especially when the servers can't even seem to line up the serving plates with the rotating display themselves. I witnessed at least one top-heavy plastic mason jar of shrimp centrifugally bouncing off the display, onto the table, and on to the floor after being rotated by a guest a little too fast. Let's start with that top-heavy plastic mason jar of shrimp (top-heavy because when the lid and a hinge are open, the jar no longer sits evenly on a flat surface) — the "Wicked Shrimp Cocktail" is said to feature soy, miso, avocado, thai chili, and greens. Each guest at the table gets exactly one shrimp and "some" of those toppings — depending on what you pick out of the plastic mason jar — which holds all the shrimp and toppings for the table. Confusing — right? 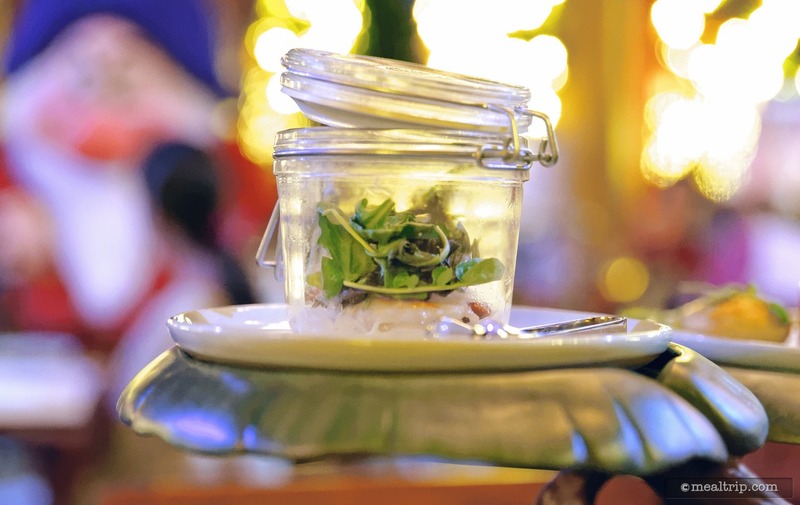 Ok, so you're supposed to take the plastic mason jar off the rotating display, use tiny tongs to pull out one shrimp and some greens, and then pass the plastic mason around the table so everyone can get their singular shrimp out of the jar. The good news is — that it was a decent sized cocktail shrimp (tail on) and I'm pretty sure I got a green leaf too, which may have been a baby spinach leaf — but all the other stuff in the description???? I couldn't really tell if it was on there or not. The item, the mason jar, and the tiny tongs ended up being far too much work for what it was — and never really elevated itself to being more than a single cold shrimp surrounded with mayo or some flavorless salad dressing and a single leafy green. When I see "soy and miso" in the description — I have flavor expectations — and those expectation were not met. 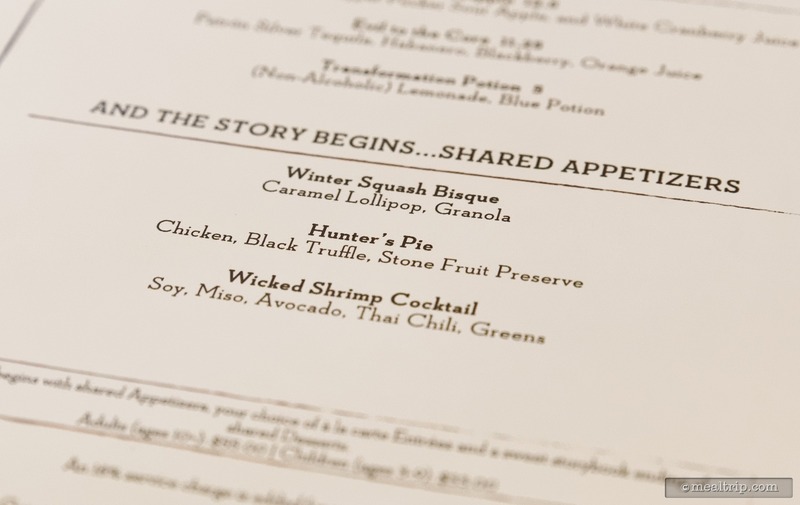 Next up, the "Hunter's Pie"… it sounds great — containing chicken, black truffle, and stone fruit preserves — but sadly it's not even really worth talking about. "Black Truffle" anything isn't happening at this price point so I'm not sure how that ingredient even made it in the menu description. 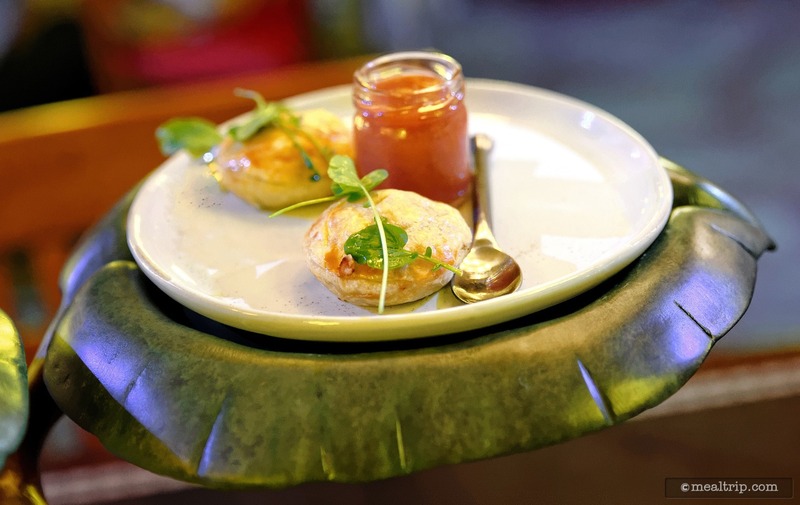 The item is basically a single, bite-sized, keep warm tray, food-service level 0.9 ounce Chicken Wellington served with a tiny jar of "preserve", that could best be described as Mott's Strawberry Applesauce. 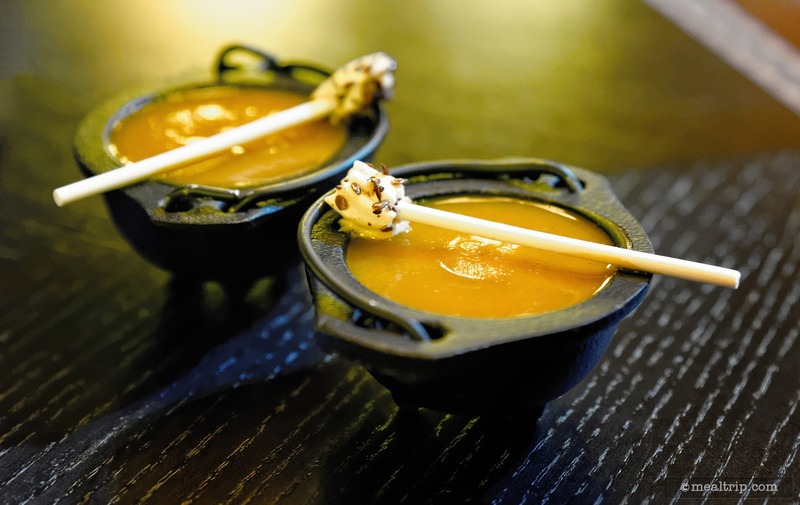 The final (and best) item on the sampler was a Squash Bisque served with a little tiny stick of "caramel and granola" (which looked a whole lot more like some marshmallow fluff with a couple of whole grain seeds stuck on it). 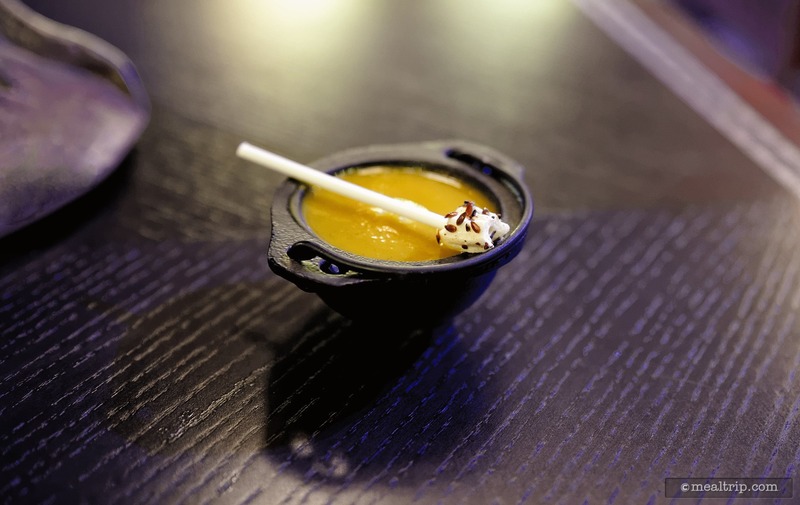 The bisque is served in a little black pot — but may only be around four or five teaspoons of bisque. It was good — but frankly — Panera's "Vegetarian Autumn Squash Soup" blows this Bisque out of the water on flavor, complexity, consistency and volume. If we're going to call this a $12 appetizer sampler — each of the items described would be $4. I don't have a problem with the price — but for the price — each item needed to be far more flavorful, thoughtful and complex than what they were. The bright spot in the meal was the entree (or at least the entree I selected) which was the "Slow-braised Veal Shank". 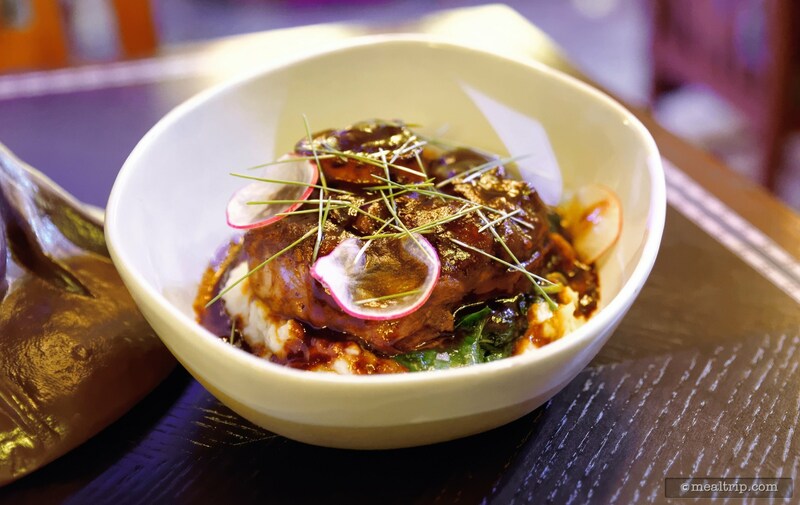 While I'm not really a fan of the "toss everything bowl" style of plating that seems to be more and more popular at Disney these days, the Veal Shank was — actually pretty amazing. It was properly fall-off-the bone tender, surrounded by a thick red "sauce and jus" reduction and most surprisingly, seemed to contain a small amount of roasted bone marrow in the center of the shank. At the old Artist Point, the Roasted Bone Marrow was a $7 "Enhancement". There's no getting around this one — it was a great entree. But then — we have desserts — which seemed a little pretentious and juvenile compared to the main entree. The one-bite, "pop the whole thing in your mouth" sized "Poison Apple" contained a very small amount of apple flavoring but was mostly comprised of flavorless "mousse" — the mousse being more gelatinous than anything and did not have a dense creaminess that you hope to find in a decent mousse. Next the "Gooseberry Pie" would have been better served as a condiment for roast turkey. 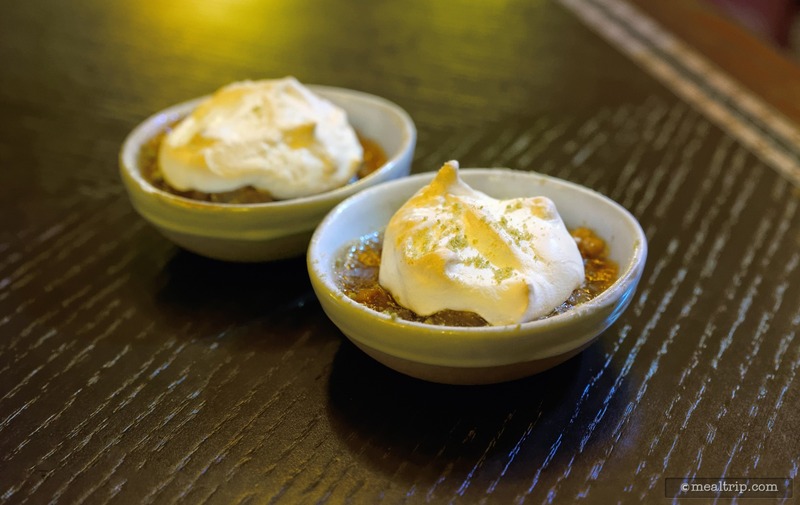 As a dessert — the placid mess that had been sitting around so long it had formed a "skin" on top of the goop — was nearly inedible. For those that are not familiar with the Gooseberry, it's in the "currant" family of plants and has a distinct flavor — if you think "over done winter spiced apples and raisins with the consistency of paste" — you'd be close. The Miner's Treasure is a small shot glass of sweet buttercream icing with a small amount of green sponge cake layered in. The menu description has "chocolate gems" being in this one, and I could see them — but the cold, hardened, chocolate candy really didn't add any flavor. The end result was like eating a couple teaspoons of sweet buttercream with some king of spongy particulate in it. Finally (and after the waiter saw we were nearing completion of the previous three desserts) a small box of Crackled Maple Popcorn was brought over and plated table-side. 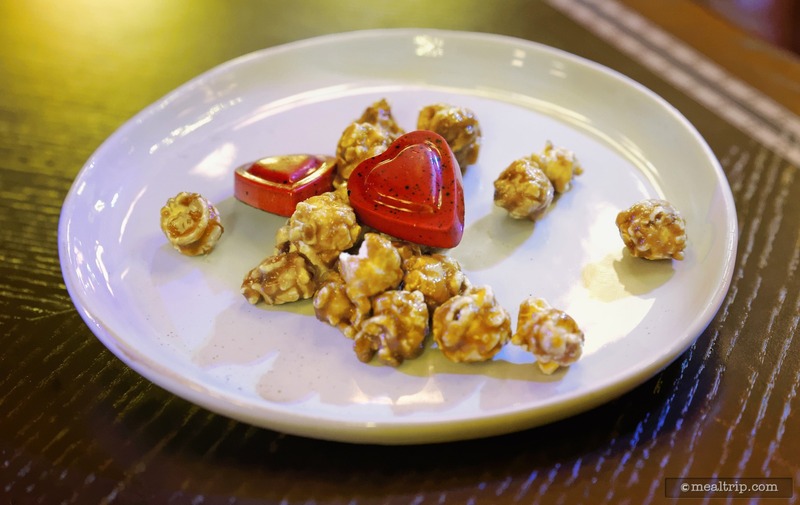 The small portion of popcorn also included a molded chocolate ganache heart. If we're going to call this a $12 dessert sampler plate — each of these items would be $3. 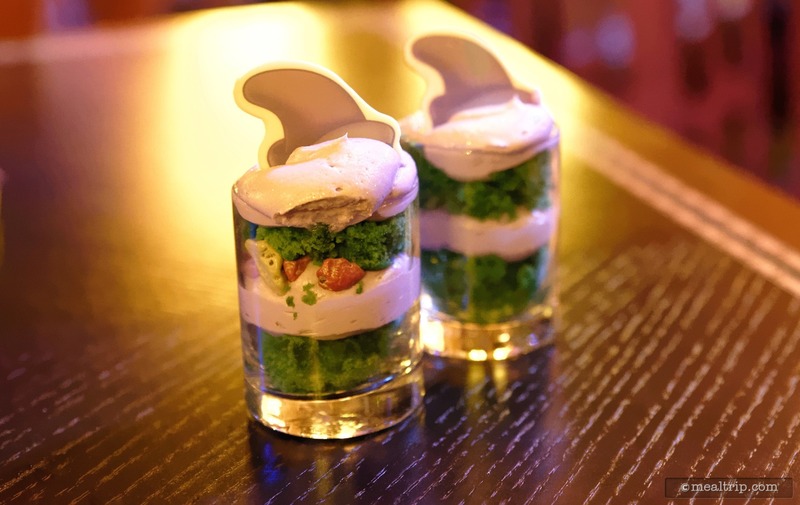 None of the items really rose above the quality of desserts that you will find at one of the bottomless dessert parties in each of the parks. Honestly — I'd rather spend $12 on a single dessert of my choosing from a list of options that would (hopefully be) created by a pastry chef and made to order. This would (hopefully) allow the desserts to be more complex and flavorful than what they are now. These are hard to find characters — snapping a photo with one of them, in a nice relaxed setting, is THE highlight of this new offering. While the main entree that I selected was quite good, the starter course and dessert course fell really, really short of quality and complexity of what the main entree was. If you were to remove the characters — I'm sorry to say I believe the place would be just as empty, as the old Artist Point was. That's too bad, because the old Artist Point's food was so much better that anything that's here now. Yes… the Veal Shank was amazing — but had I selected the Poached Snapper, would I feel the same way? Hard to say, but I don't think I'll be going back to try other entrees. I'm not sure I could sit through another round of those appetizers and desserts. One and done. CLICK HERE to view all 35 images in our photo gallery. 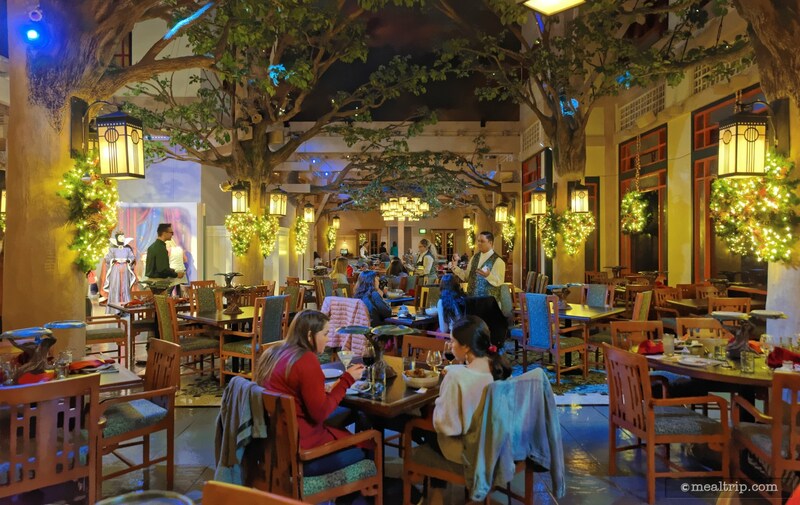 Have you ever visited any of these dining locations in our Disney's Wilderness Lodge directory?